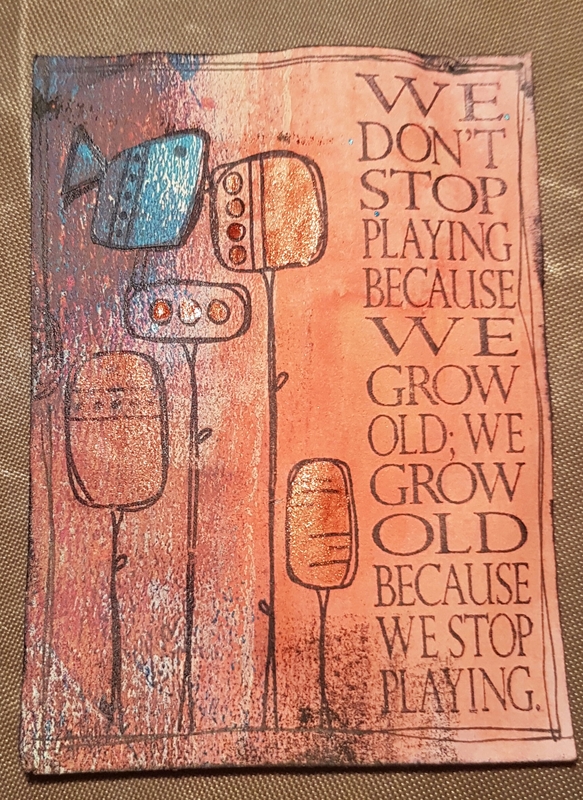 Two more ATC’S today made from scraps of scratch paper and bits wiped off… one of which got made into a card topper… the other is an ATC going into the general trading stash! 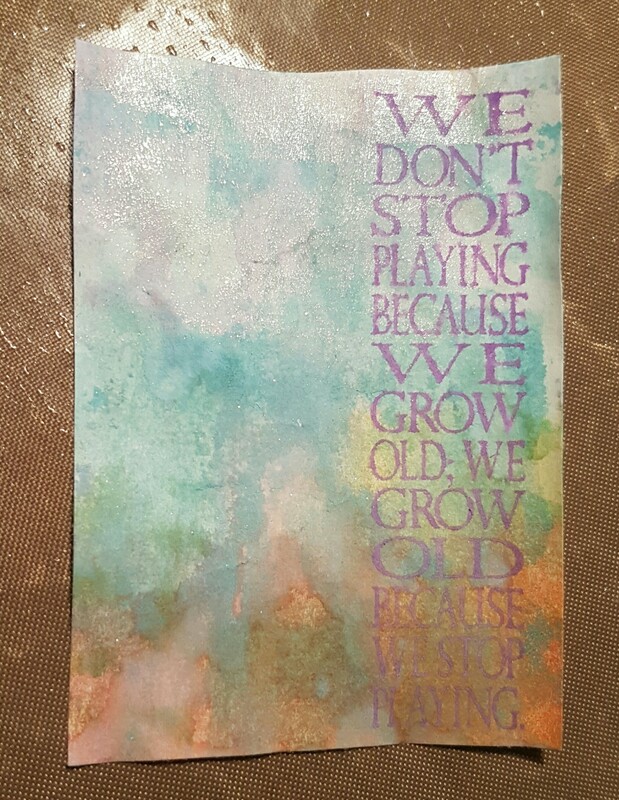 Here it is all stamped up using archival and distress stain added to the background which had brayered paint on it. The bird was stamped and cut out of another piece of painted paper. I also added the metallic acrylic ink to the flowers to give it some sparkle. 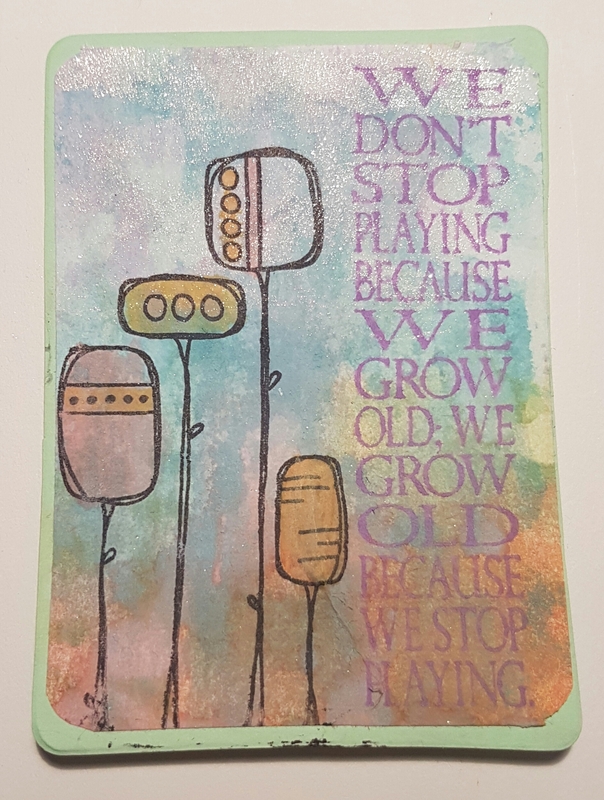 This one became a card with a mount of white cardstock and then onto a navy card I made and then doodled a border with a silver pen and added some silver to the flowers too. The second one I made a background adding distress oxide inks on top of the inky wiped off already on the paper. I then stamped the sentiment… this time with distress oxide. This had some iridescent ink already added to it. So it wad already quite shimmery. 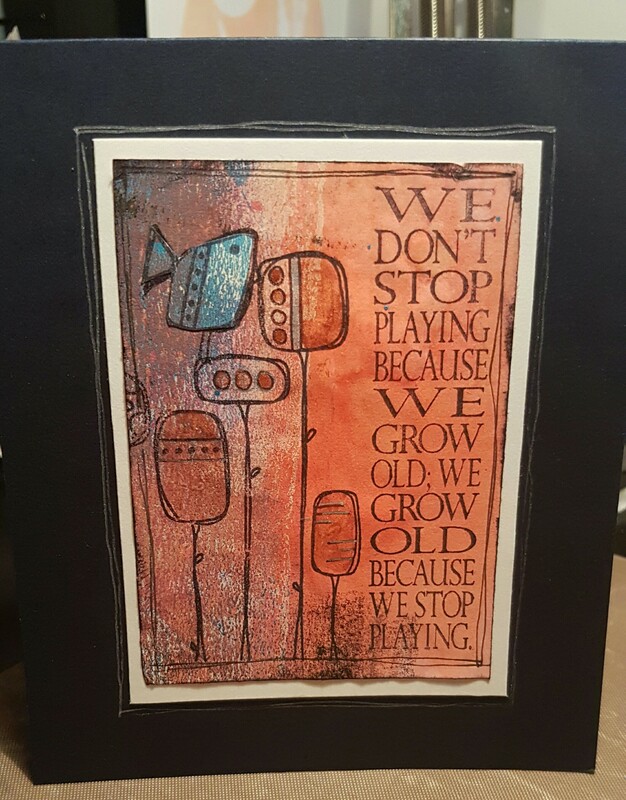 I mounted it onto an ATC I had die cut and then stamped the Kim Dellow circle trees. Then I added more colour using the distress oxides as a Watercolour medium. Love how they both came out and both look different even though they are the same image and quote. Those look great . Love how you can use the same stamp diffrent ways.